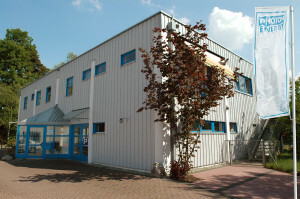 PHOTON ENERGY GmbH is a medium-sized company in the optical industry. Based in Ottensoos in southern Germany, it lies at the heart of Nuremberg metropolitan area. We specialize in the development and production of laser sources and laser marking devices for industrial applications. Our expertise are tailored solutions paired with qualified and individual customer support. This concept combined with strong product quality guarantees our sustainable success. The state-of-the-art manufacturing techniques in our new production facility with several cleanrooms and our highly qualified employees are essential to our business. Continuous in-house training and a positive work environment ensures a high level of motivation. We are proud of the long term commitment of our employees. 2011 Acquisition of the product line of laser marking systems from NWL Lasertechnologie GmbH. The entire division of NWL Lasertechnologie has been integrated into PHOTON ENERGY GmbH providing PHOTON ENERGY with a business experience of more than 20 years.